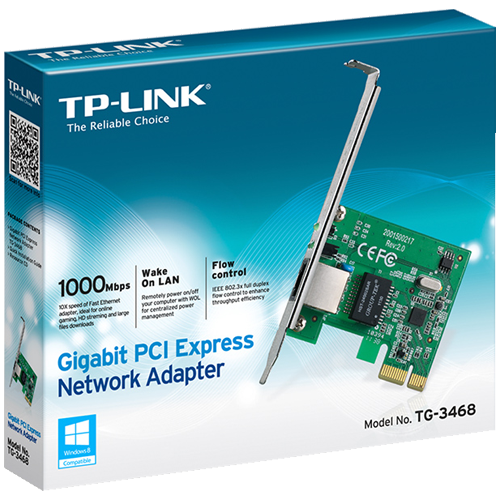 TG-3269 is a 10/100/1000Mbps, 32-bit 33/66MHz PCI-bus Gigabit Ethernet adapter. 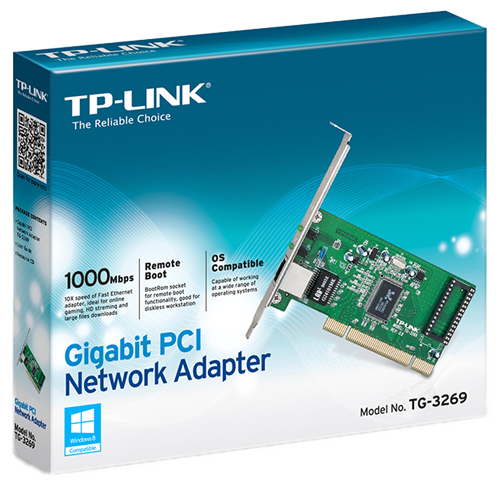 G-3468 10/100/1000Mbps Gigabit PCIe Network Adapter is a highly integrated and cost-effective 32-bit Gigabit PCIe Ethernet Adapter which is fully compliant with IEEE 802.3, IEEE 802.3u and IEEE 802.3ab specifications. 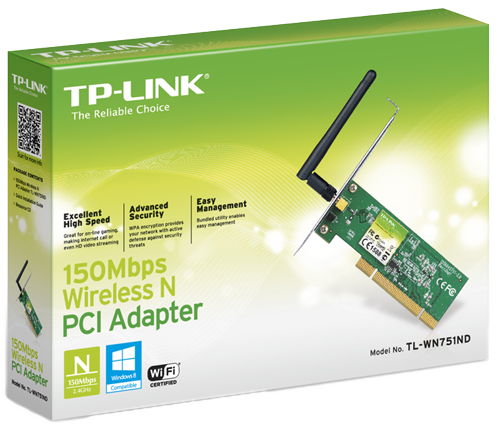 TP-LINK TL-WN751ND is designed to provide a complete end-to-end wireless performance from the server or server backbone to the switch infrastructure and down through to the desktop with the PCI connector. 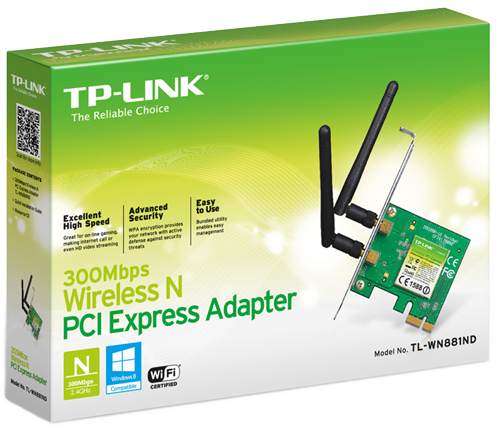 Wireless N PCI Express 2.0(x1) Adapter TL-WN881ND allows you to connect a desktop computer to a wireless network and access high-speed Internet connection.